Lindsay Diaz lost her duplex home in Rowlett, Texas when Seagoville based Billy L Nabors Demolition mistakenly tore down the house following a rash of deadly tornados in late December 2015. 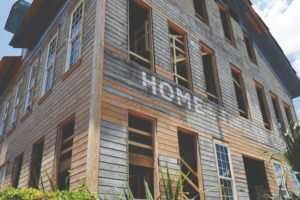 Unfortunately, individuals who have suffered damage to their home or property because of a negligent act by a business or corporation often encounter difficulty in seeking just compensation in their dispute with the offending party. Many businesses will engage in bad faith behavior to avoid liability for their actions. When a company commits a wrongful act against your property, you’ll want a law firm that is willing to fight for your legal rights. Millin & Millin, PLLC has the attorneys that are committed to making sure when you or your property are hurt by business wrongdoings, the company is held responsible. According to the lawsuit filed by Diaz, the demolition company whose slogan is “We could wreck the world” – failed to perform due diligence when they erroneously drove to her duplex at 7601 and 7603 Calypso Drive, rather than their actual target home, which was located at 7601 Cousteau Driver. The houses, which were a mere block away from one another, had both suffered tornado damage. Diaz, however, had not sought to have hers demolished and was actually anticipating fixing the building, but was simply waiting on a FEMA estimate before commencing with repairs. Diaz had even submitted a permit to rebuild, but then received that fateful phone call. Unfortunately, her plans had been completely rendered moot. The chief executive of Nabors Demolition, George Gomez, claimed that the demolition crew was mistakenly sent to the wrong house because of a Google Maps error. At the time, the company crew was certain they had arrived at the right home and were confident they had torn down the correct structure until they were notified of their mistake. It is purported that Gomez initially told one local news outlet that the demolition was “not a big deal” and that the company’s insurer would handle the situation. The statement began to circulate online, during which Diaz attempted to contact Nabors, but was unable to get in contact with the company. However, since that conversation, Diaz has filed suit alleging that attorneys for Nabors have failed to agree to a full settlement for the mistaken demolition. The lawyer representing Diaz added that Nabors Demolition also damaged the foundation of the property and have thus added to Diaz’s rebuilding costs. Furthermore, because the insurance repair estimates were based on the original damage the house sustained by the tornado, Diaz is now being forced to cover the total cost of rebuilding. Regardless of the type of claim, the size of the case, or the subject of litigation, our lawyers have represented plaintiffs fighting for justice against all size of defendants. The attorneys at Millin & Millin, PLLC understand that those in need of legal representation are seeking qualified, excellent, and efficient lawyers. That’s exactly what our firm brings to the table. Reach us at 956-631-5600 or contact us here to get the legal ability and dedication you deserve.